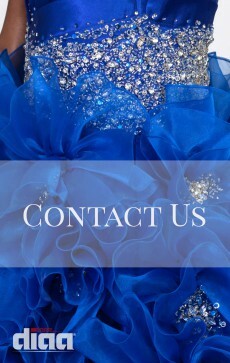 The best way to contact us here at Diaa designs is via email. Please fill out the following form, When you are finished, click the 'Submit' button to send us your message. You will see a confirmation below and we will respond to you within 24 hours. One of our service representatives will be in contact with you within 1 business day to take your order information. Have Question? Check out our Frequently Asked Questions for quick, useful answers to our top asked questions. Still have questions, need more information about our products and services or to provide feedback about our site, We would love to hear from you at Diaa designs!. Hours are subject to change based on the season. We will keep you informed through our website. As you may be aware that we are no longer operating our business out of our physical brick and mortar location in Warren due to changing market, however; we will remain operating strictly as an online store only through our website. We have truly cherished our years serving our customer’s face to face at our storefront boutique, and we have met so many amazing people and developed lasting friendships, and for that we are eternally grateful. We at Diaa Designs would like to take this opportunity to thank you all for your loyalty and support of our boutique over the many years, and we look forward to continue serving you online. Please do not hesitate to contact us should you have any questions.